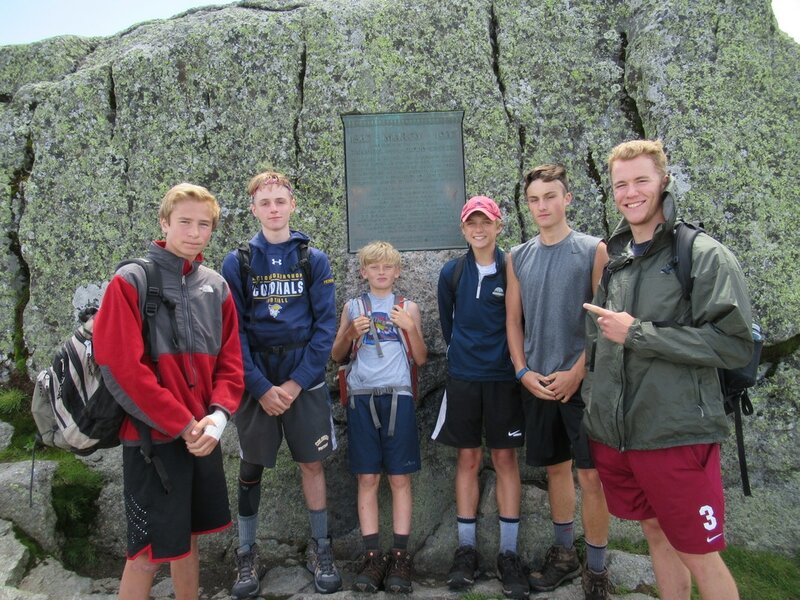 2018 Junior Trip Schedule is now posted. The 2018 Trip Information and Sign-up Information is part of this document. Please read it. If there is a fee for any advance registration, payment is required with the advance registration. All advance registrations received up to June 10 will be treated equally, and you will be notified of your status soon after that date. 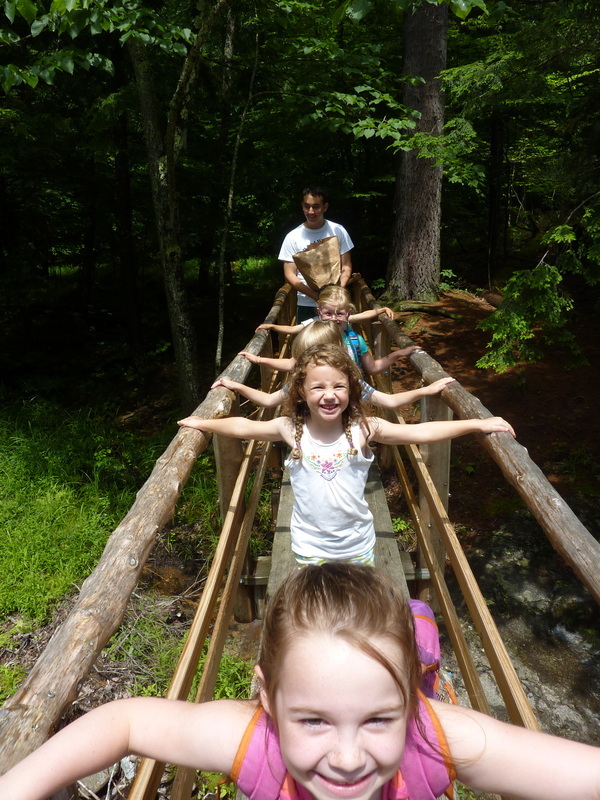 ATIS "C" hike on Swimming Hole Bridge. 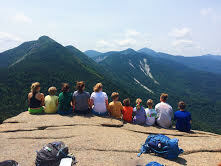 ATIS hiking group on Armstrong Mt. 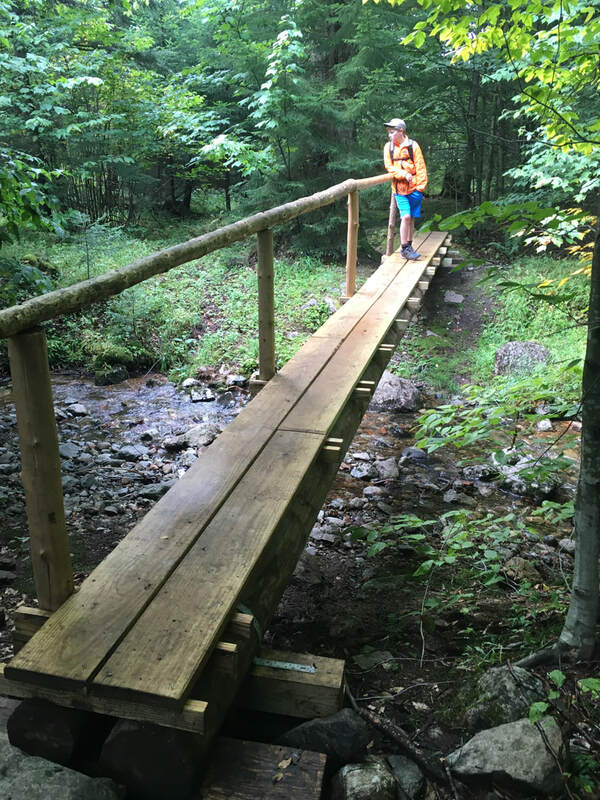 The Adirondack Trail Improvement Society was founded in 1897 to insure regular maintenance and consistent marking of the trails in the St. Huberts and Ausable Lakes area. 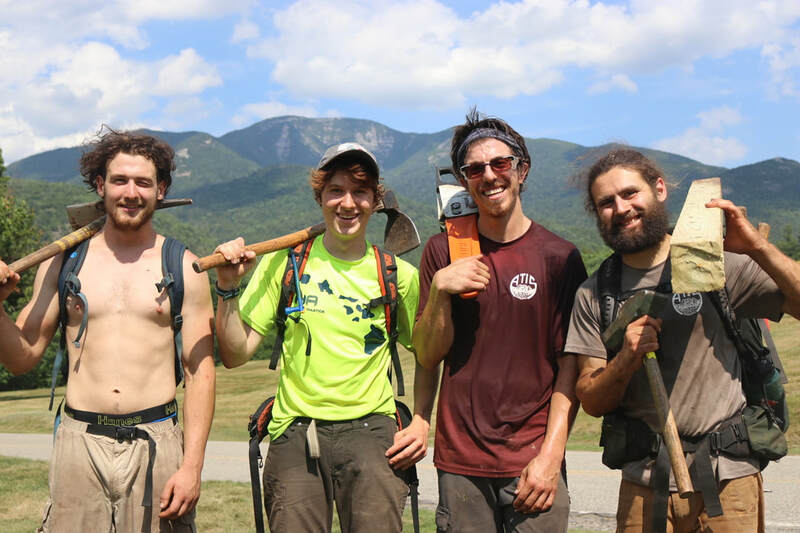 Later, the organization began hiring trail counselors to lead hiking and camping trips, thus expanding its mission to include education on the proper use and enjoyment of the Adirondack wilderness. 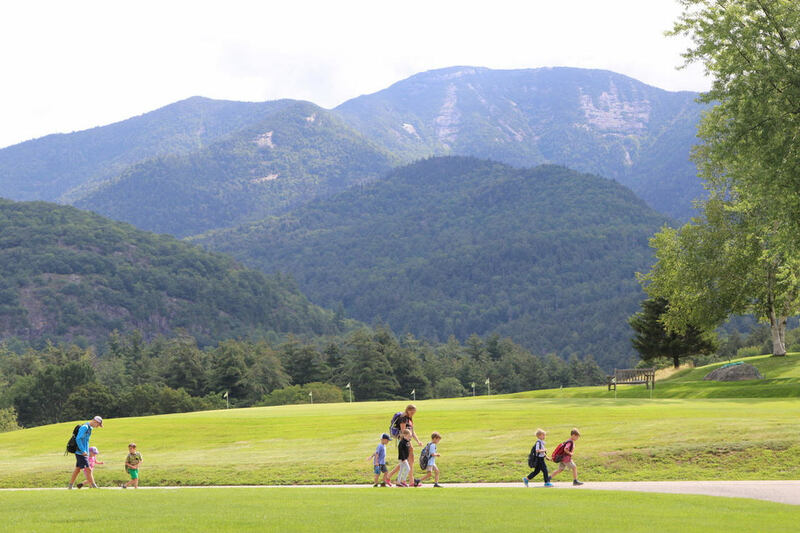 Today, this non-profit membership organization hires both a seasonal trail crew and a counselor staff. 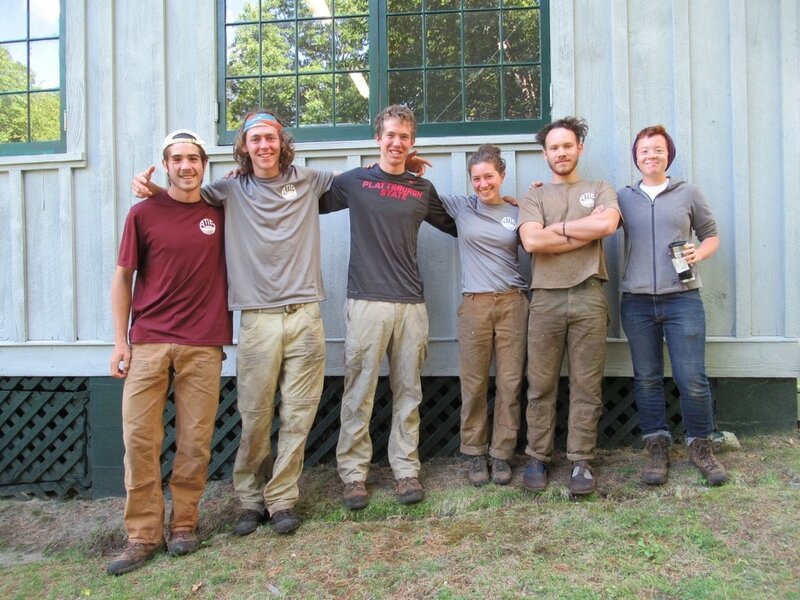 The trail crew maintains over 100 miles of public hiking trails during a season that runs from May to August. 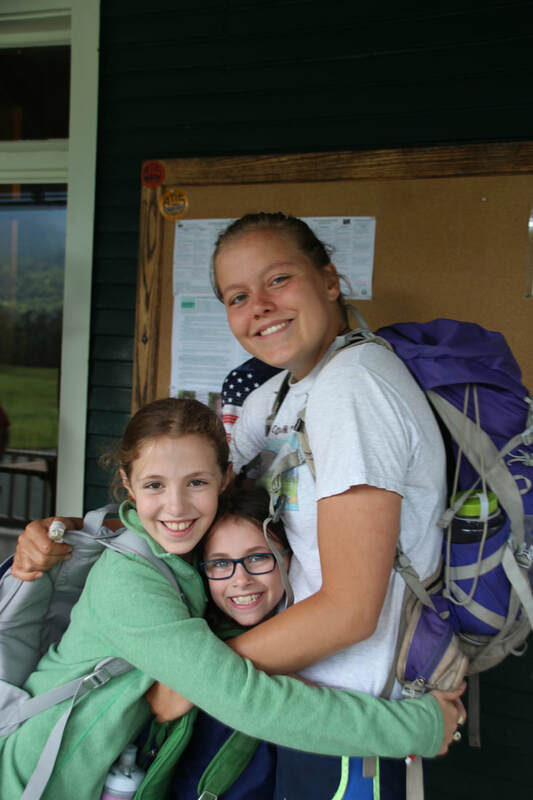 In June, the trained counselor staff conducts High Peaks Camp, a two-week residential wilderness camping program for 18 children aged 12-15. During July and August, the same staff supervises daily and overnight hiking, rock climbing, nature exploration, and canoeing trips. There is also a separate schedule of volunteer-led adult trips. In addition, the Society sponsors occasional lectures and other events during the summer season. 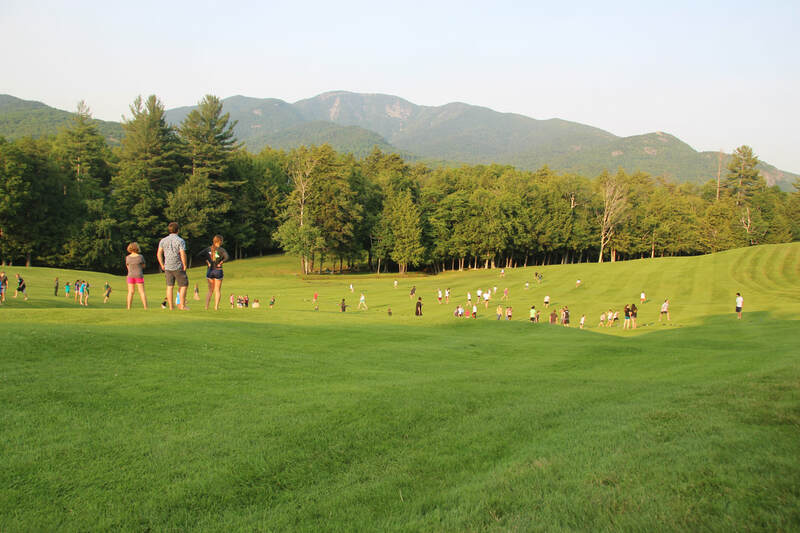 Each month's activities are topped off by a picnic supper at the Lower Ausable Lake. 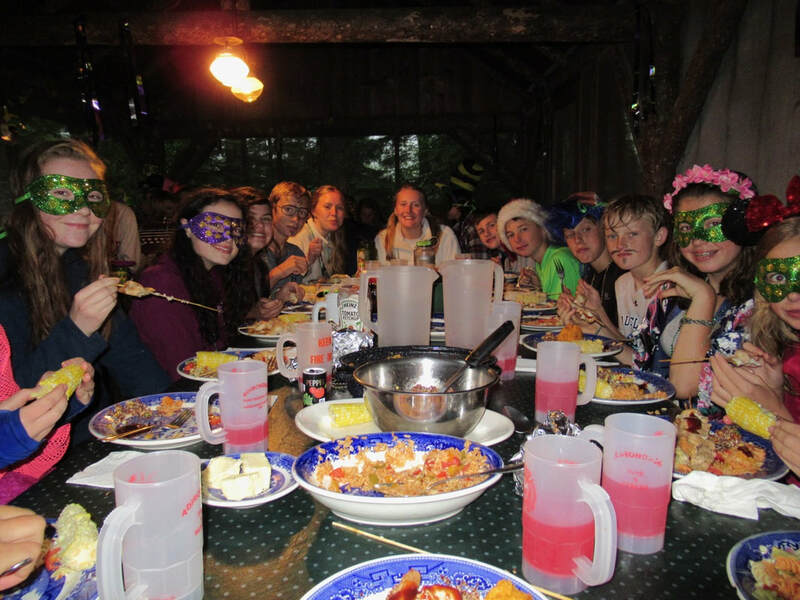 The picnic includes water sports, canoe races, recognition of achievements and, in August, a skit. The A.T.I.S. is funded by donations from its membership, which is open to all who share the Society's goals and ideals. 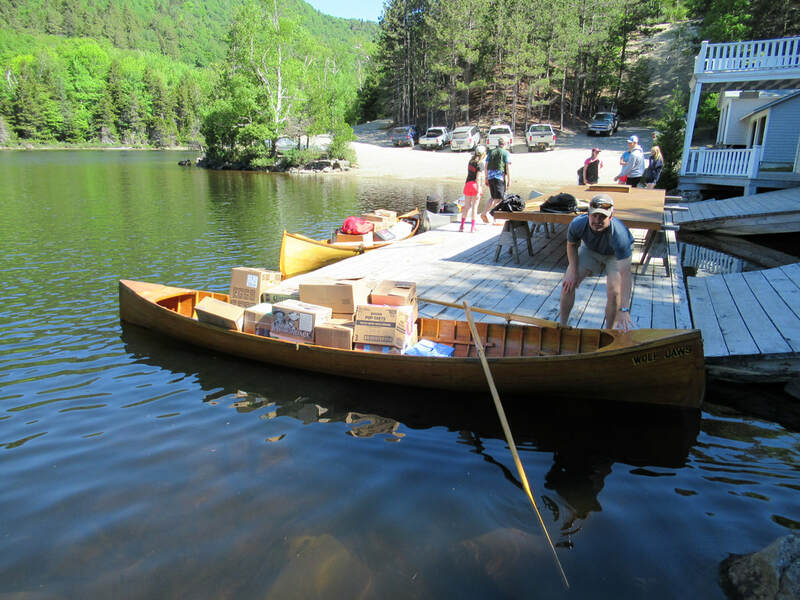 Loaded boats to supply High Peaks Camp.